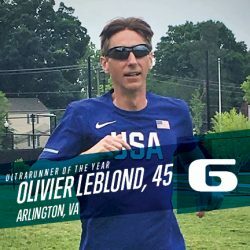 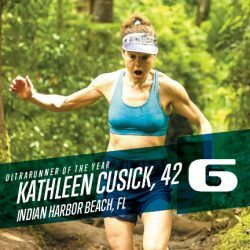 Olivier Leblond of Alexandria, Virginia is number 6 in the voting for Ultra Runner of the Year. Leblond set an American Record at 48 hours, posting 262.181 miles at the Icarus Ultra. He also won the Umstead 100 and the Yeti 100 and was seventh at the IAU 24-Hour World Championships.